The Art of Network Marketing! What can we do with 1 cent? | Let's Biz Up! You are here: Home / 2015 / September / 12 / The Art of Network Marketing! What can we do with 1 cent? In fact, doubling or duplicate is the essence of Network Marketing. Duplicate yourself is the main message! Networkers don’t sell, but are working to teach their Downline to also duplicate themselves so that tomorrow not 1, but 2 persons are working. And the day after not 2 but 4 people are working, etc. After 15 days doubling your capital (in fact: Networking) you finally have as much money a regular job would give you a day. Your friends and family declare you insane to even have started this doubling project. It obvious is a proof that it doesn’t work! Who dares to continue after such a bad result? Break even! After only 19 days doubling your initial 1 cent, you earn as much money somebody with a regular job would earn! You were not able to convince somebody of your project with the results you achieved, but it does not feel awkward anymore that you started this doubling project. The boring part lies behind! This has become an interesting business, your friends and family start wondering if their initial reaction was maybe too harsh. People who said no or who stopped the project, start to inform about the business and your business is getting easier with the day! Your earnings tell enough! Your motivating is high, money rolls in and you know you are getting paid accordingly. This was the fun part, now the 3rd part; the unbelievable part! If you are working in Network Marketing, you can replace the days into weeks or months. It’s the idea that counts. Even when it is years, after 30 years you would have a pension that would go into the millions! The biggest problem is that 70% of your growth is established in the last 30% of the project time. Are you capable and do you have the guts to go to that final 30%? Only when you understand the system for the fullest, you will persevere! You saw of coarse that break even was met at 19 days. 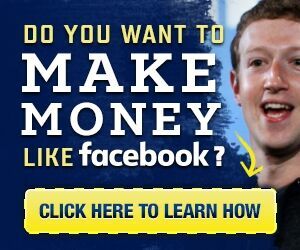 If this would be weeks, you would need a lot of months to earn real money… Now you maybe understand why some people do not believe in the concept of Network Marketing. They don’t have the character and patience to continue, or know somebody who did not have the patience to persevere. But who works with winners will meet every day people who did continue! That is much more stimulating than watching the result after 15 days or listen to the stories of people who tell it does not work. So look in the mirror and ask yourself, how much time do I need?